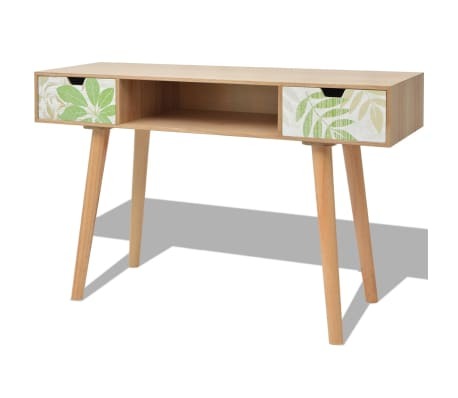 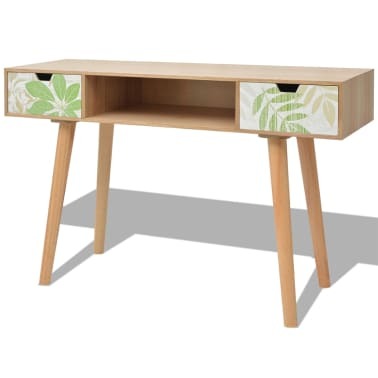 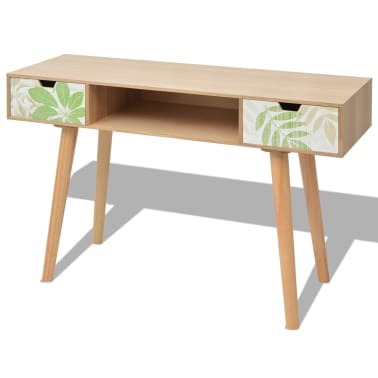 This console table, featuring a Scandinavian design with unique forest patterns on each drawer, will make a great addition to your living room, dining room, hallway, etc. 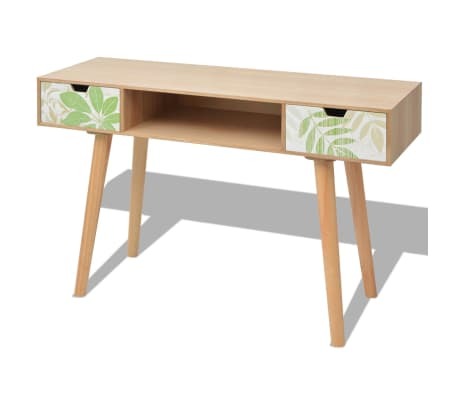 Thanks to its compact design, you will find a spot for the console table almost anywhere. 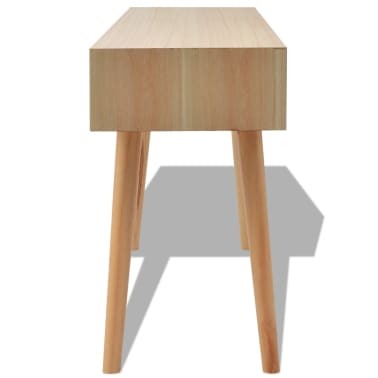 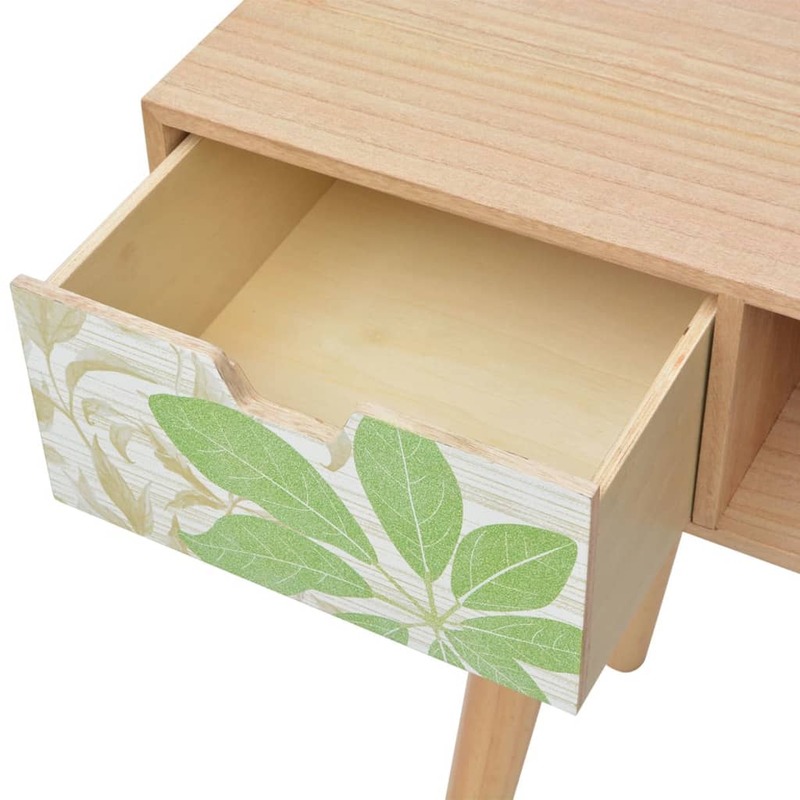 The sturdy tabletop is ideal for displaying decorative objects, photo frames, or potted plants. 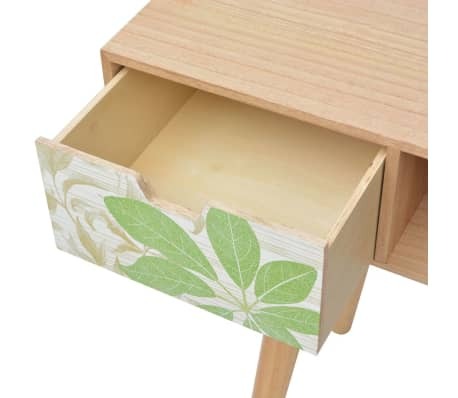 Two smoothly running drawers can be used to store small items like keys, notepads, pens, and other knick-knacks. 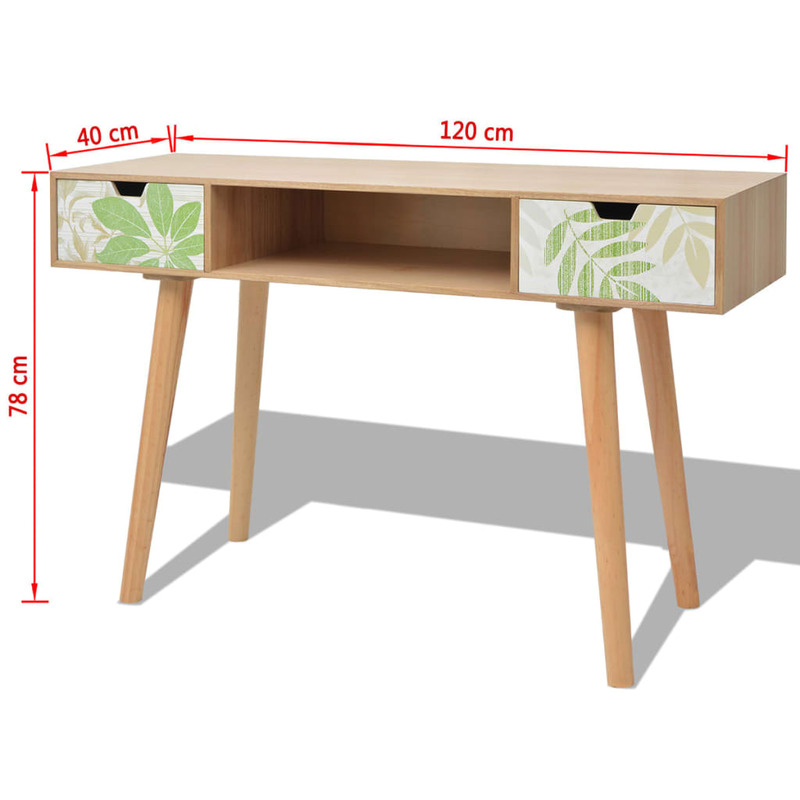 It can also be used as a desk, side table, side cabinet, etc. 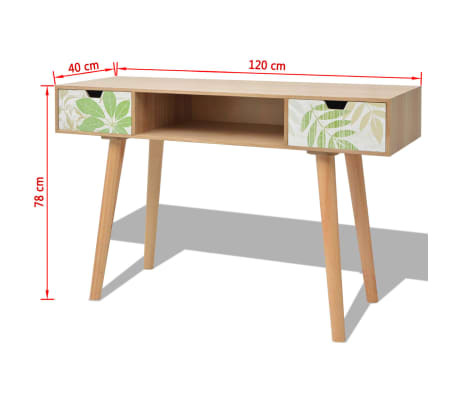 Made of high-quality MDF and with four pinewood legs, this console table is very sturdy and durable.